Hello all! Today I’d like to write a post I’ve wanted to try for a while, but which I’ve put off as I wasn’t sure how exactly to structure it. One of my favorite aspects of Sailor Moon is the music. In every incarnation (except the manga, of course) there’s excellent music which aids the storytelling. The only downside to this, however, is the fact that such an abundance of music makes it difficult to whittle the field down to just ten exemplary pieces. In order to aid myself in tackling this feat, I have decided to limit myself only to the anime (I could not possibly pick just ten if I let myself go into the musicals’ oeuvre) and present my top five songs from the original and top five songs from the English dub. Let’s start with DiC’s dub! I really loved the character work of DiC’s songs. This is one of the more easily forgotten songs from the dub, but I think it’s a beautiful look into Lita’s earlier life and her past relationships. The song illustrates so beautifully what she’s gone through which has made her into the loving but tough person she is. This song gets kind of repetitive as it goes on (hey, so did Sailor Moon) but it’s still a great one. There’s a great power to the song and the vocals which not only carries through the excitement of the battle but makes for a great song to listen to on its own. I’ve talked about this song before and how much I love it. It’s one of those rare times that I really think the dub outdid the original, with a powerful and energetic song. It works not only as a piece of music, but as part of the narrative as well, with lyrics and dynamics which both support the story. DiC’s theme song is such an excellent one. I’d say that it’s more of an actual “theme song” than the original “Moonlight Densetsu” in that it tells the viewer about the title character, what she does, and who her teammates are. The fact that it’s catchy as hell is just the icing on the cake. Is this song cheesy? Yes, but it’s also quite possibly the best encapsulation of the main themes of the Sailor Moon story. Goodness conquers all; depend on your friends; believe in the power of love. Honestly, no other song I can think of puts the show’s morals so readily to music. And now onto Toei’s original. SuperS gets a pretty cold shoulder from a lot of the fandom, but I think even the staunchest of its detractors must admit that this song is great. Lyrically, I don’t have much to say about it. I don’t know if the problem is that it hasn’t been translated well or if it’s just a difficult song in its own right, but I can’t make much sense of it. Musically, however, I’m all for it. This song has one of the most dance-able beats of anything the show has to offer and is always a joy to listen to. Another great song from the SuperS season! Technically this one was written for the second movie, but the animators couldn’t find a satisfactory point to incorporate it into the story, so it was used in the following season instead. The song is a great power-up anthem and plays when the Sailor Soldiers dramatically transform in preparation for their final battle of the season, revealing their identities to the enemy in doing so. It adds a great extra layer to the drama. Of course the classic theme has to make an appearance! I put it in the middle because I’m having difficulty separating my emotional ties with the song from any objective critique of it. I think it’s a great song, but not necessarily the best that’s ever been written for the show. However, it is so intrinsically linked with the show, having played not only at the start of every episode for four seasons, but also at the climax of the first season and the finale of the last season, that I had to include it. No list of Moon music would be complete without it. This song and this scene made me a fan of the original Japanese version of the anime. As such, like “Moonlight Densetsu”, it’s difficult for me to be objective with it. That said, I think it’s one of the most spectacular examples of the way music and story can combine to strengthen each other. The score adds so much to the tension of this climax and the flashbacks onscreen give the song even more emotional depth. It’s not necessarily the best standalone song, but in the context of the scene, it’s untouchable. This is another example of a scene and a song blending beautifully. It was hard for me to pick between these two for the top spot, but I gave a slight edge to “Ai no Senshi” because I think it’s a better standalone song. The music builds well and drives the scene along and the lyrics are an excellent fit for the characters. 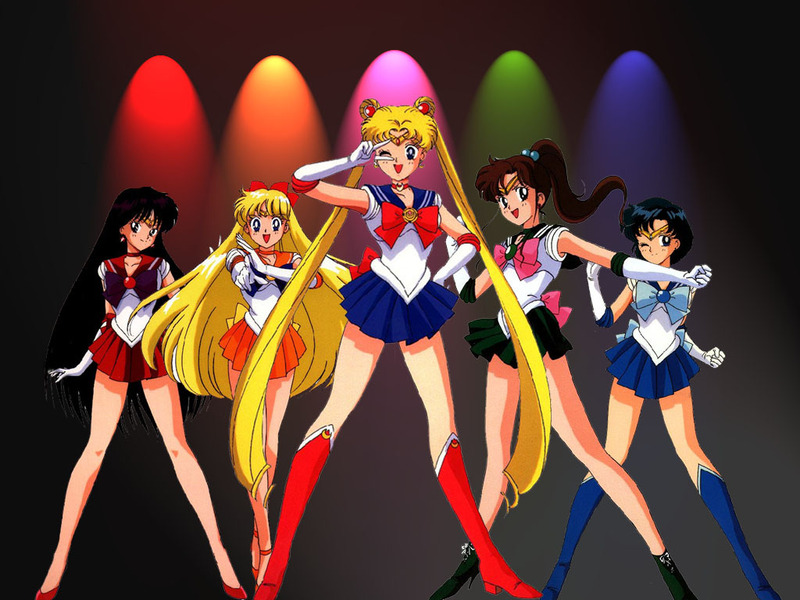 So stands my list of the top songs from the English and Japanese versions of Sailor Moon! Limiting myself was difficult and left many amazing songs of the list (special honorable mentions to the original Italian and German theme songs) but I feel confident in my choices. If you disagree, feel free to let me know! This entry was posted in Anime, Geek, Music, opinion, Sailor Moon, Top 10, videos and tagged Anime Music, DiC, Toei Animation by Fiyero3305. Bookmark the permalink. I am a fan of musical theatre above just about everything else. I also love horror, Nickelodeon, Disney, Disney Channel (yes, those are two different things) and all incarnations of Sailormoon. Yes. All of them. Hello, I have a 6 year old who is love with Sailor Moon. Can I please have permission to use the top image for a birthday cake for her? I will add your name and even credit you on social media if you like. She is just really excited to have them on her cake and the store said they will not put the pic on there without permission! Thank you so much! Hi, I actually didn’t make that image. I’ve seen it many places, I believe it is official Toei artwork, or at least the characters are. Someone may have put them together on the background with the spotlights, but I’ve seen the character portraits on official merchandise. As such I can’t give permission for the image. If you want to look around sites like deviantart or tumblr you could probably find some artist’s work who would be willing to give permission! It sounds like you may be talking about “Azusa Nigou” from episode 99 in the third season. Is this it?